Kindle App in iPad is great, not only you read Kindle ebook bought at amazon website, but also you can read personal mobi ebook converted from other format in Calibre, for example you bought some ebooks at Sony library,B&N store, you can read those ebook in Kindle iPad App, this is tutorial how to upload mobi file into Kindle iPad app. How to remove drm from acsm file? 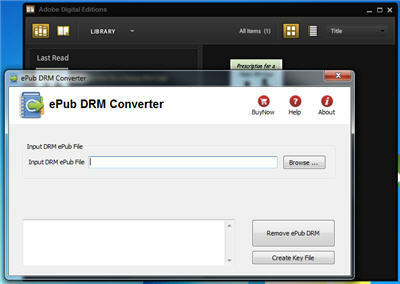 How to remove drm from Kobo ebook? 3. Connect iPad to computer, run itunes, you can upload mobi file through itunes,select iPad in left panel, then select “Apps” on right panel. 4. 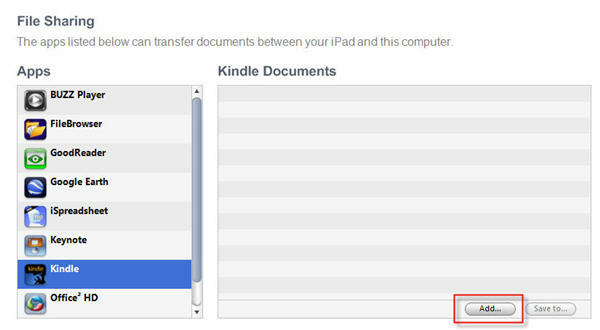 Select “Kindle” in Apps list, then click “Add …” button at right-bottom corner, you select mobi file to update to Kindle app in iPad. 5. Enjoin reading in Kindle app ipad.